Robert “Bob” Marshall passed away peacefully in his sleep during the early hours of June 10, 2015. Bob was born in Green Bay, Wisconsin to Francis & Lillian Marshall. The family moved around Wisconsin living in Milwaukee, Shorewood and Sheboygan. Bob met the love of his life and future wife, Phyllis Miller, in Sheboygan Wis. in 1949. The two married in 1950 and remained together for 61 years. The couple had 4 children over the next 9 years, James, Jeffrey, Judith and John. Bob graduated from the University of Wisconsin at Madison with a degree in Engineering. His career in Engineering started in earnest in 1950 when he took a position at AC Spark Plug a division of General Motors located in Milwaukee, Wis.. Bob moved up in the corporation and soon began working for the Delco division of GM. In 1962, GM created the General Motors Research Laboratories (Delco Systems Operations), based in Santa Barbara, CA., to conduct research and development activities on defense systems. Bob’s work started to take him to Santa Barbara more and more often, so in 1968 he moved his family to a new home in Goleta, Cal. While at Delco, Bob worked as a Senior Project Engineer and had the opportunity to design a number of defense projects, as well as working on the Mariner (Mars probe) and the prototype of the NASA Moon Buggy. Bob took early retirement from Delco in 1980. In 1976, Bob and Phyllis Marshall created and opened a retail store called Nature’s Own, which specialized in selling Rocks, Minerals and Fossils. The store was an immediate success and having out grown its location in De La Guerra Plaza, they moved into El Paseo in 1978. They continued to add store locations in Solvang and Palm Springs. The City of Santa Barbara was rebuilding Stearns Wharf, so in 1981, Nature’s Own was the first to secure a lease and open a store on the Wharf. Being ocean related Nature’s Own added Shells and Coral to its wares. Later Nature’s Own incorporated with Bob Marshall as President. Following incorporation new locations were added such as 915 State St, in Santa Barbara, 3rd Street Promenade in Santa Monica and Beverly Center. 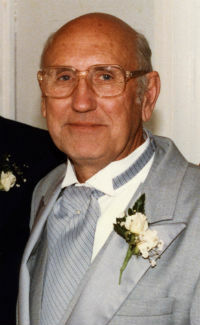 Bob, who loved working with his hands, designed many of the stores as well as making many of the cabinets and fixtures. He also made many of the fine necklaces and jewelry for Nature’s Own. In his later years Bob became the primary health care provider for his wife, Phyllis, who had developed Alzheimer’s. He steadfastly cared for her until her passing. Robert Marshall was preceded in death by his beloved wife Phyllis Marshall (2011) and his sibling Dorothy Vander Leest of Cave Creek Arizona. He is survived by his children, James Marshall (64), Jeffrey Marshall (63), Judith Bruskin (61) and Jon Marshall (55). His son-in-law Neil Bruskin (62) and his grand children, Natasha Bruskin (22) and Noah Bruskin (19).